K ronomyth 5.1: JET STREAM OF CONSCIOUSNESS. Lyrically, “Jet” is one of McCartney’s most confounding works. Is it about his dog, his wife, David Bowie? Macca always went more for sound than meaning (“Ob-la-di, Ob-la-da,” “Hello Goodbye,” “Uncle Albert/Admiral Halsey,” etc. ), and you can sprain your brain trying to figure them out, but why give the lyrics more thought than the author himself did? 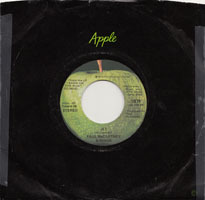 The B side for the first official single (“Helen Wheels” was appended to Band as an afterthought) was “Mamunia,” another track that has fostered wild speculation, some suggesting that it’s Paul’s “Hey Jude” for John because of its reference to Los Angeles. 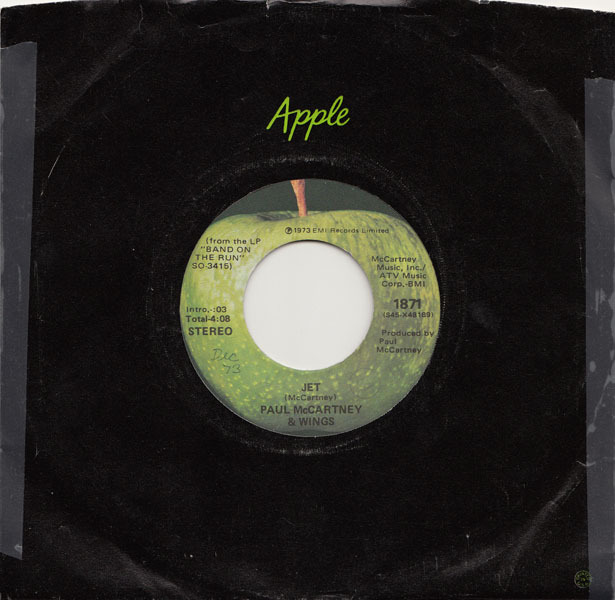 For reasons unknown to me, “Mamunia” was replaced a few weeks later by “Let Me Roll It.” Which, it has been suggested, is a commentary on John Lennon because its use of an echoed voice sounds like John’s work from this period (Mind Games, etc.). Beatles fans apparently have active imaginations and an inordinate amount of free time on their hands.